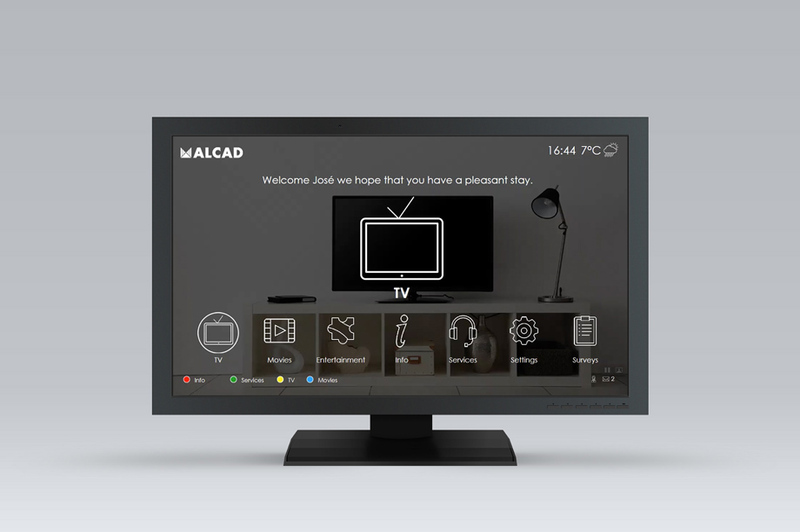 ALCAD's IPTV solution is already in more than 15.000 rooms and in the experience of hundreds of thousands of guests from around the world. After this achievement, we have focused our efforts on going further in the user experience and bringing it closer to their expectation, and even going beyond. This commitment will lead the establishment to excellence and the user to remember his/her stay as a happy time to be repeated. For this reason, we have developed the new version IPTV Healthcare, IPTV Hospitality and Digital Signage of ALCAD, to exceed the expectations of the most demanding hotels, hospitals, residences, health centers and all types of buildings. ALCAD is an expert brand with worldwide recognized leadership in capturing, processing and distributing TV signals in our homes and hotels, hospitals and singular buildings, presents a complete TV solution over IP networks, 100% ALCAD from beginning to end: from the reception of the TV signal through terrestrial antenna, satellite or fiber, through the processing headend, to the room; It also has a powerful and agile middleware or software that is easy to use, intuitive, fast and very reliable.